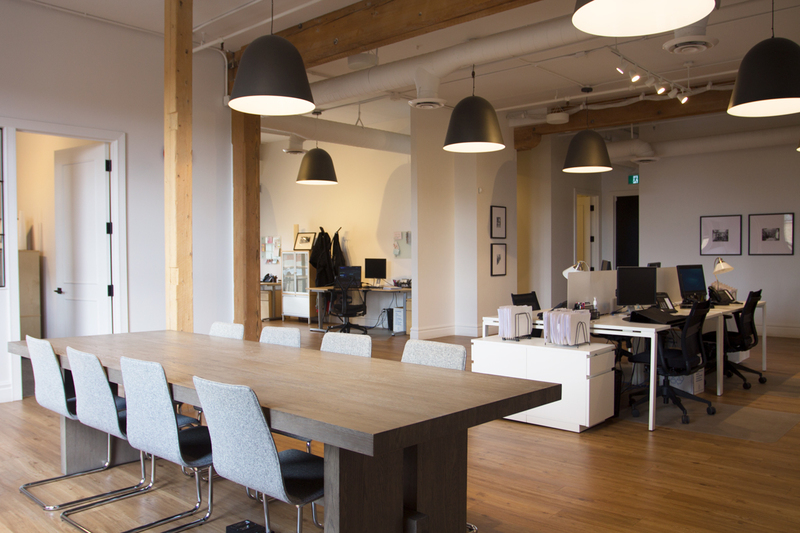 Benevity’s Calgary team moved into its new Bridgeland office in 2017. 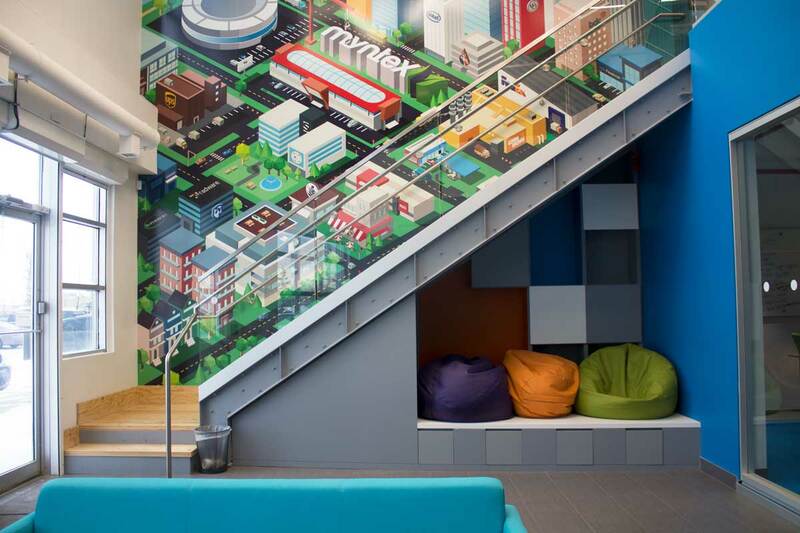 Spanning three floors, the bright, dog-friendly space is decked out in 19 colourful murals designed by the company’s own creative team. Photograph by Alana Willerton. Brookline Public Relations’ office was inspired by principal and founder Shauna MacDonald’s time living in Boston’s Brookline area. The space’s original exposed brick, wooden beams and 14-foot ceilings are complemented by 16 photos and prints of the Brookline area and boardrooms named after places in Boston. Photograph by Alana Willerton. 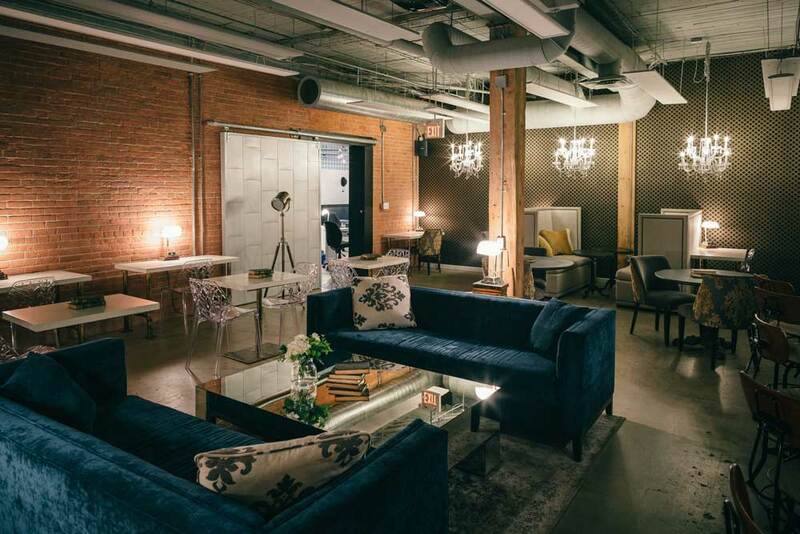 Sophisticated with some rustic charm, The Commons co-working office (located in a building that dates back to the early 1900s) is a beautiful spot to work or hold an event. Photograph by Chris Amat. An orange slide, bean bag chairs, arcade games, bunk beds, a huge Silicon Valley-inspired mural — believe it or not, this actually describes the office of Myntex, which might just be home to the funnest office space in Calgary. Photograph by Alana Willerton. This is not your typical real estate office. 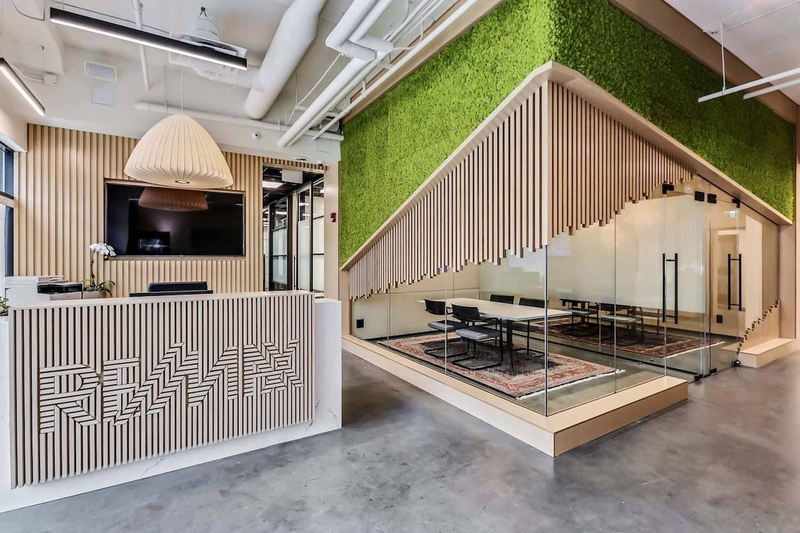 Located in Altadore, RE/MAX House of Real Estate‘s office features an eye-catching moss wall, around 300 plants in its kitchen/lounge area and direct access to local coffee shop NHBR. 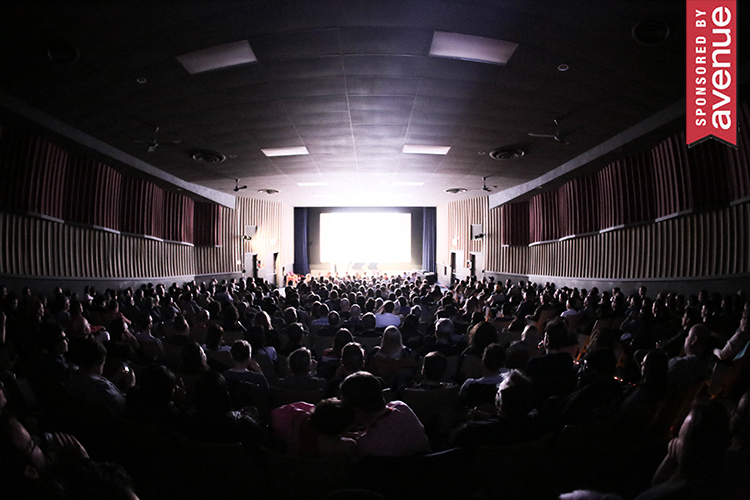 Photograph courtesy of Rndsqr. 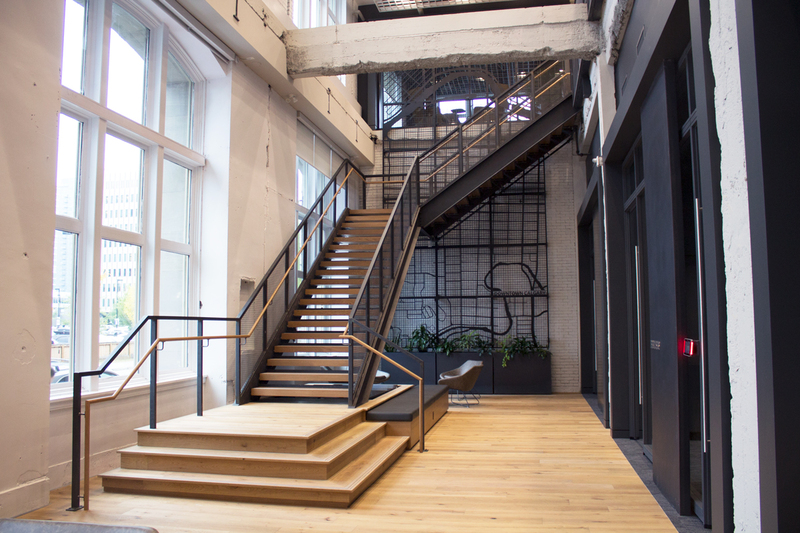 Calgary’s Nyhoff Architecture transformed a 102-year-old heritage building into a new home for Urban Systems‘ Calgary branch. What did that take? Let’s just say this staircase wasn’t there before. Photograph by Alana Willerton. 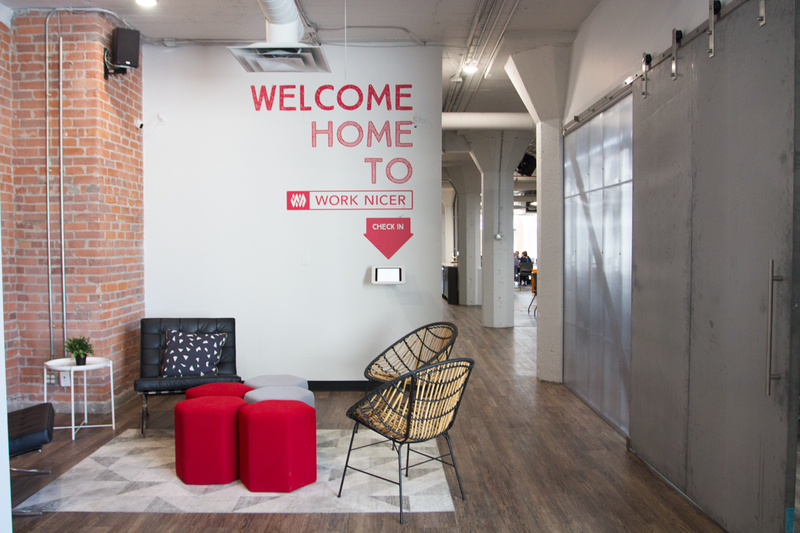 Calgary’s co-working scene got even cooler this year with the arrival of Work Nicer‘s second location in the Beltline. 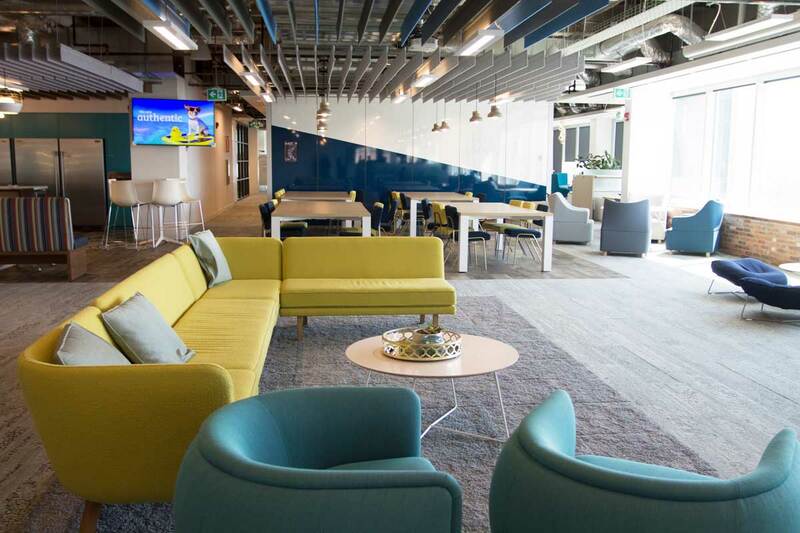 Tool Shed beer on tap, a “virtual receptionist” and meeting rooms named after famous movie quotes are just a few of the perks that members can expect here. Photograph by Alana Willerton.